Kuala Lumpur, July 30th, 2018 - GroupM today announced a series of changes in senior management, culminating a structural transformation initiated earlier this year designed to expand services for advertisers seeking growth in Malaysia. Effective August 1, Chanchal Chakrabarty is promoted to the CEO role for GroupM Malaysia, succeeding interim CEO Jon Thurlow. Chakrabarty has over 20 years’ experience with the group across India, Singapore and Malaysia, and he most recently served as COO for GroupM Malaysia. Chakrabarty will work closely with, and report to, Thurlow who assumes the role of Chairman, GroupM Malaysia -- in addition to his continuing role as Chief Operating Officer for GroupM Asia Pacific. “We’ve done the hard work to make sure GroupM Malaysia has the right structure and the best access to media partners, data and technology. I’m excited to lead GroupM Malaysia’s next chapter,” said Chakrabarty. Cindy Chia transitions from Managing Director of Mindshare to Head of Client Services for GroupM. Collaborating with GroupM’s agencies, Chia will lead client engagement for the group and mentor the next generation of GroupM’s leaders. Chia has a strong pedigree of client leadership with multiple client appointments over her 18+ years with Mindshare. Dheeraj Raina will join Mindshare on October 1 as Managing Director (succeeding Chia). This marks a return for Raina who is currently Managing Director at ADA Malaysia. Raina previously worked with Mindshare Malaysia as General Manager, and prior to that was Mindshare’s Head of Strategy & Product. Asha Nair is promoted to Managing Director of Xaxis effective August 1. Prior, Nair was a Director at Xaxis, and this promotion reflects her significant contributions to the business over the past four years, since the launch of Xaxis in Malaysia as the pioneers of programmatic buying. Saurabh Chandrashekhar and Wan Lih Chan are jointly promoted within the ranks of MediaCom -- Chandrashekhar to General Manager, Product and New Business; Chan to General Manager, Client and Talent. The promotions reflect their individual contributions to development and growth of MediaCom over the past 18 months. 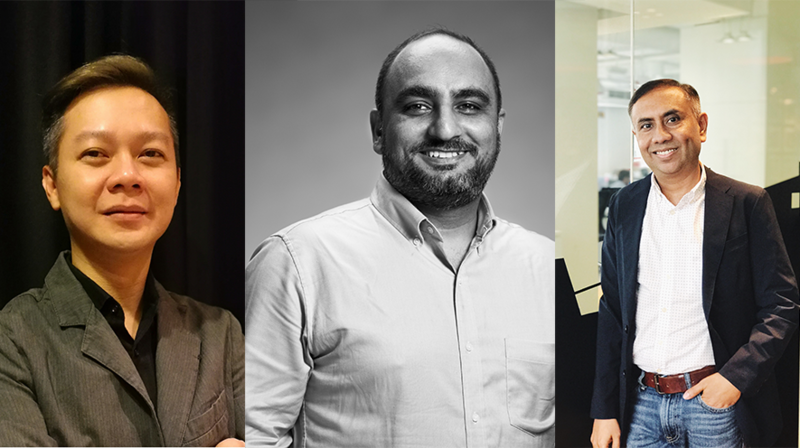 The new appointments take place against the backdrop of GroupM moving to its new office at Empire City, Damansara Perdana on August 13, where it will join other WPP operating companies in a campus designed to provide clients with enhanced, integrated services. “The new leadership structure will be more nimble and adaptive to the rapidly evolving Malaysian market – more digital, more mobile, more data-focused,” said Mark Patterson, CEO, GroupM Asia Pacific.